May 12, 2017: A Director's Statement and the film INVISIBLE. Imagine what it's like to be so sick you cannot function. Imagine there is no known pathology for your illness, only symptoms. Imagine you are too weak to find your own voice,... and because you are silent and confused, your physician says “It's all in your head”. INVISIBLE gives voice to a select group of Vermonters who are gravely ill, and until now, have been out of sight. 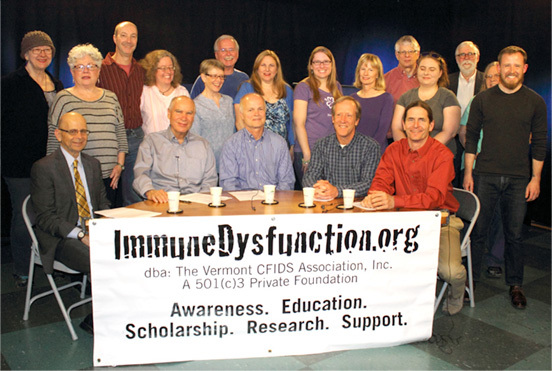 You will hear first person accounts from your Vermont neighbors as they talk about living their lives with Chronic Fatigue Syndrome, Fibromyalgia, or Myalgic Encephalomyelitis, the disease with a thousand names and no known cause or cure. You will hear the devastating impact this illness wields. Not only for those who suffer the symptoms, but for those who are left trying to understand what their loved ones are experiencing. 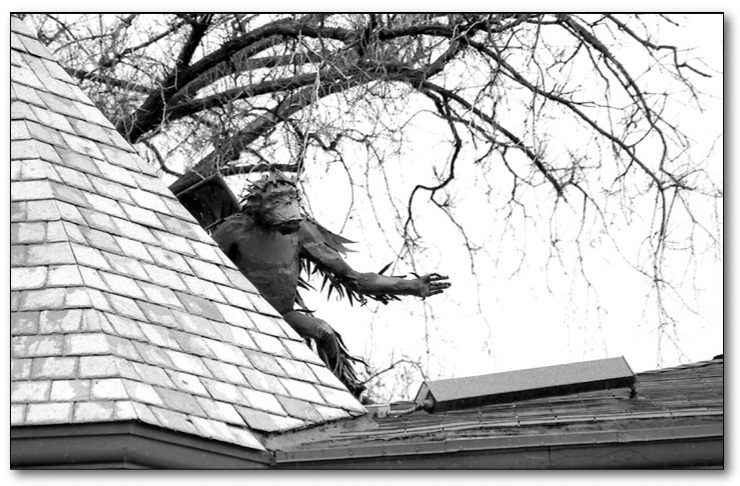 This is a film for millions of people around the globe from your Vermont neighbors around the corner,... tenacious Vermont neighbors who struggle against unimaginable odds to make their voices heard. and they are tired of being INVISIBLE. Foreword by Charles Anderson M.D. Get the book, while supplies last for $10.00 tax and shipping included. 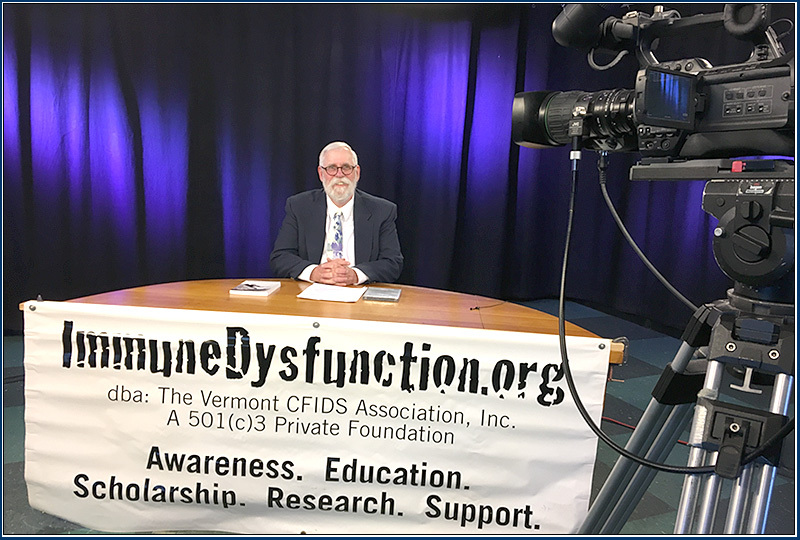 Justifications for ME/CFS Centers of Excellence: Kenneth J. Friedman, Ph.D.
© Vermont CFIDS Association, Inc. All rights reserved.